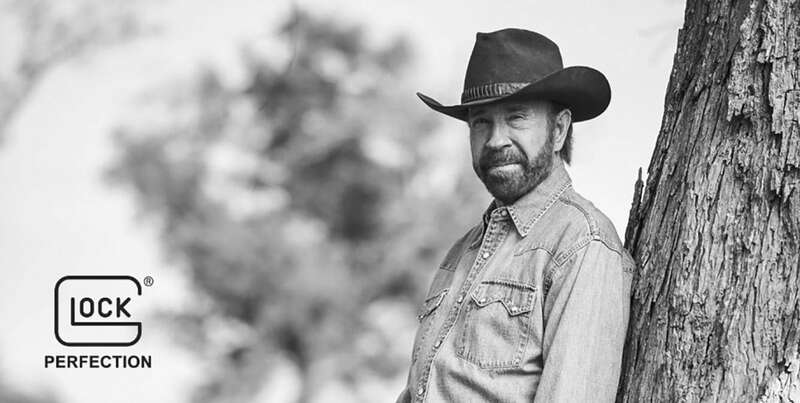 Glock announced Monday that the legendary actor, Air Force vet and martial artist Chuck Norris has signed on as their latest spokesman. Norris, 79, was reportedly picked by the polymer pistol maker whose U.S. operations are based in Georgia as he represents the same characteristics and principals for which the company stands. Glock said the collaboration will consist of an array of digital and social campaigns as well as public appearances, starting with the National Rifle Association’s Annual Meeting in Indianapolis set for later this month. That event is expected to draw upwards of 80,000 people. As such, Norris will move into the spot once held by the late fellow actor and Marine icon R. Lee Ermey, who was recently buried at Arlington National Cemetery. Norris, who picked up martial arts while deployed with the military in South Korea, opened a chain of schools on the West Coast and appeared in the blockbuster film Return of the Dragon, fighting Bruce Lee, in 1972. He went on to found the Chun Kuk Do fighting style and become a big-name action movie star in the 1980s, with such notable films as Delta Force, Lone Wolf McQuade, the Missing in Action franchise, and Invasion USA. On the small screen, he is best known as the title character of Walker Texas Ranger, which ran for eight seasons. In the past five decades, Norris has carried dozens of iconic firearms in films and television roles, including Glock. When it comes to gun politics and the Second Amendment, Norris has been a vocal spokesperson for the NRA’s “Trigger the Vote” campaign, has slammed the United Nations Arms Trade Treaty and has opined that churches need more “We Don’t Dial 911” signs. The gun culture legend said the latest pairing was a good match.